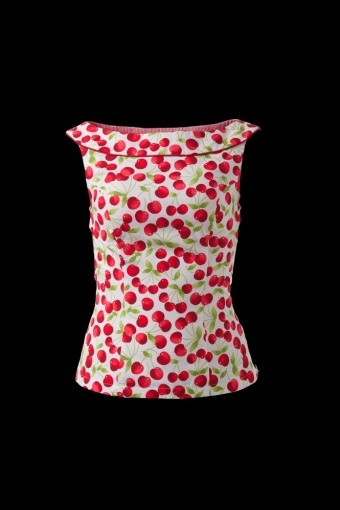 The Cutie Cherry White boatnecked top from Swedish designer Emmy (on pic). With this sweet boatnecked top you can be as pretty as you want to, without showing too much skin. A yoke with piping perfectly accentuates collarbones and shoulders! 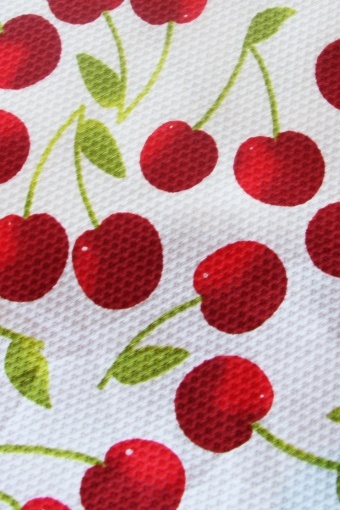 Made of a steady cotton piké in 97% cotton 3% elasthane with a delightful cherry print.